A floodplain as any land area susceptible to being inundated by floodwaters from any source. The main waterway in Franklin that offers the biggest risk to flooding is the Harpeth River and its tributaries. The City of Franklin currently has 1,769 properties that have determined by FEMA to be in the floodplain. History of Flooding in the City of Franklin. 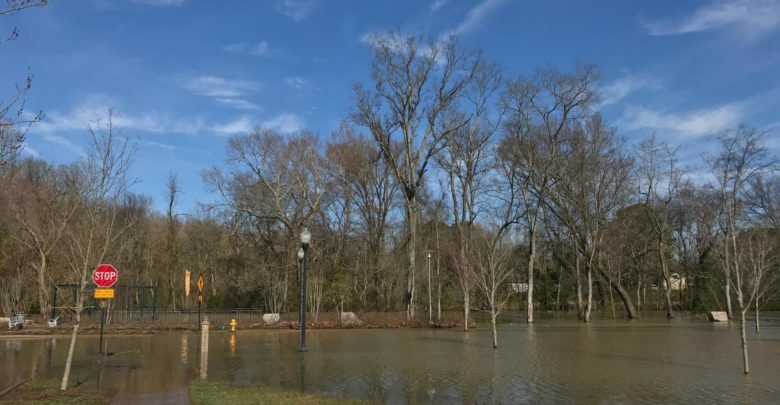 It is critical to remember that the City of Franklin, being located in the Harpeth River Watershed, is subject to flooding from significant storm events. Williamson County and the Middle Tennessee region has experienced periodic flooding for decades, many of which resulted in property damage. The most recent flood event occurred in 2010. Being prepared is your best defense against such events. Franklin is subject to flooding from heavy rains and particularly those that occur upstream. Determine if your property is located in an area subject to flooding. Property located in close proximity to the Harpeth River are areas where flooding is likely. A property located within a flood zone may not necessarily have flooding problems but your property may still be within a flood zone, as designated by Federal Emergency Management Agency (FEMA) maps. Upon request, the Building and Neighborhood Services Department – Floodplain Manager at (615) 550-6631, will make free flood zone determinations for properties within the City. FEMA maps are also available on-line and at the Williamson County Public Library. If located in an “AE” Zone, your property is within the Special Flood Hazard Area (SFHA), which is an area that has been determined to have the potential for flooding caused by a 100-year storm. If located in a “A” Zone, your property is also within the SFHA and could also be subject to substantial flooding. 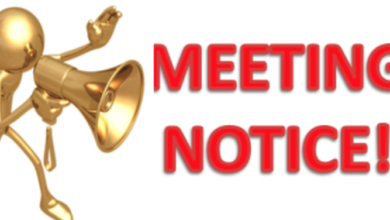 The Building and Neighborhood Services Department also maintains elevation certificates for many properties within the City which are also available for review. Scroll to maps below. For a flood risk profile of your property by address, visit www.floodsmart.gov. If your property is in imminent danger of flooding, please contact Middle Tennessee Electric Membership Corporation at 1-877-777-9111 and Atmos Gas !-888-286-6700 to request that your power and natural gas be shut off, or for guidance on how to do it yourself. This number may also be contacted regarding any other electrical or natural gas emergencies. Tune-in to local commercial radio or television stations or NOAA Weather Radio for Watch and Warning Bulletins and any corresponding emergency instructions. The Williamson County Emergency Services will order or advise evacuations if conditions warrant this action. If evacuations are called for, it is imperative that you follow instructions in the time frame noted. Questions regarding emergency procedures may be addressed to the Williamson County Emergency Services at (615) 790-5757. Listen to the radio for emergency instructions. Select a contractor who is licensed in his trade. 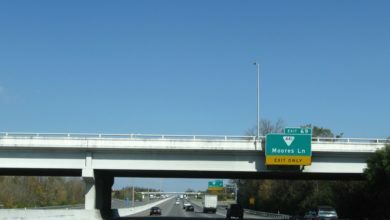 The State of Tennessee requires contractors to be licensed and/or registered. They will also be able to produce receipts for their licenses. Only licensed electricians may perform electrical work, only licensed plumbers may perform plumbing work, only licensed gas contractors may work on a gas system, only licensed mechanical contractors may perform heating, ventilation and air conditioning work, and only licensed building contractors may perform building related work. Verify that contractors are licensed before signing or agreeing to any repair contracts. It is also recommended that you verify certification of liability and workman’s compensation insurance. Complaints against licensed contractors may be referred to the appropriate licensing agency. Require your contractors to obtain the proper permits for work being performed. Permits are required for any permanent improvement (including painting, roofing, siding, additions, alterations, etc.) to a structure and for site work such as grading, filling, etc. Permits are required even if a homeowner is doing the work himself. 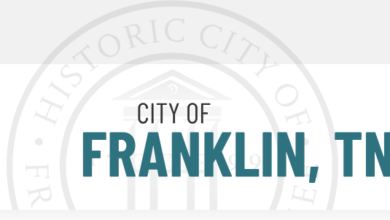 Questions about permits or contractor licensing may be addressed to the City of Franklin Building and Neighborhood Services Department at (615) 794-7012. Floodplains are a natural component of the Williamson County environment. Understanding and protecting the natural functions of floodplains helps reduce flood damage and protect resources. When flooding spreads out across the floodplain, its energy is dissipated, which results in lower flood flows downstream, reduced erosion of the erosion, loss of valuable property, increased risk of flooding to downstream properties and degradation of water quality.